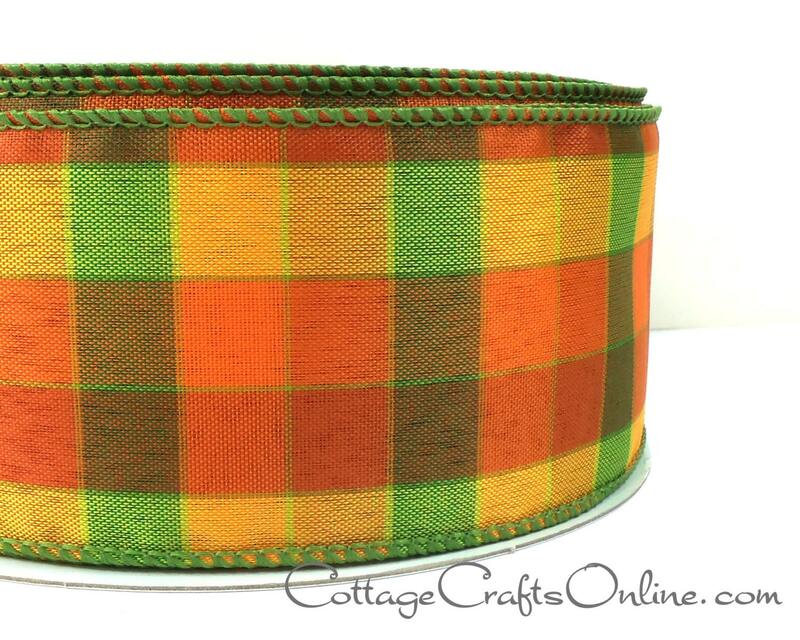 Bright orange, grass green, golden yellow and burnt orange check plaid, 2 1/2" wide, with a wired edge covered in green thread. This listing is for 3 yards. If you purchase more than one, your order will be cut as one length.